Yayasan Cheshire Indonesia or well known as Wisma Cheshire is a member of Global Alliance of Leonard Cheshire Disability, a non-government organisation based in London that operates in some 257 homes worldwide. Wisma Cheshire started in 1974 offering residential care for paraplegics. The organisation has grown over the years and now actively runs programs such as vocational training, disability rights advocation, individual development plan, and providing accommodation for people with disabilities. Wisma Cheshire is a home registered in Indonesia for up to 32 paraplegic residents of both sexes. The majority of the residents have disabilities from road or industrial accidents; some have suffered from polio. Wisma Cheshire provides a centre for their residents to realise their full potential. They support educational programs to help rehabilitate the residents, helping them learn new skills which enable them to seek employment and financial independence. The home is run by a committee of volunteers and employs some full-time staffs. Their programs include vocational training in woodwork, sewing/tailoring, computer and IT, and English language. They also deliver supporting programs such as physiotherapy and nursing service, psychology and counselling, giving scholarships or funds to support talented people. Wisma Cheshire has a livelihood project as well, where they help reintroduce their residents to the working community and to independent living. 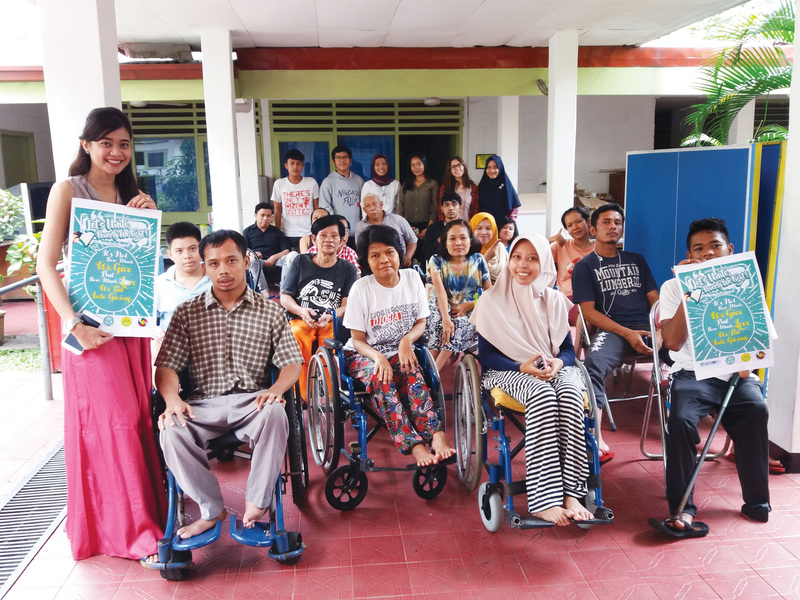 Wisma Cheshire has a disability rights campaign called Young Voices Indonesia (YVI) Program, which works to strengthen the role of young people with disabilities throughout Indonesian society. YVI advocates and promotes the rights of people with disabilities and helps raise social awareness of the United Nations Convention on the Rights of Persons with Disabilities (UNCRPD). YVI actively conducts workshops, seminars, public campaigns, art performances, and tremendously supports its members to participate in both national and international conferences.